Newport Beach’s Shannon Levin appointed to oversee South Orange County waterfront. 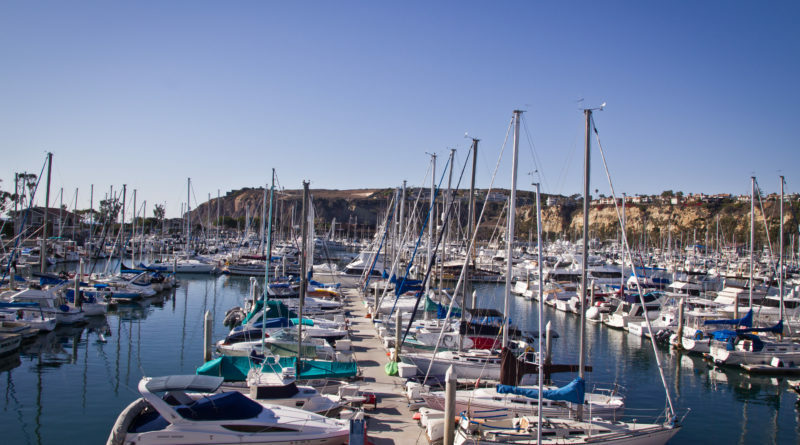 DANA POINT ― Dana Point Harbor has a new manager – exactly 12 months after a news report was published to announce the resignation of the waterfront’s previous overseer. Shannon Levin, Dana Point Harbor’s new manager, fills a management void at the South Orange County waterfront after a whirlwind of activity during the past 52 weeks. The independent Dana Point Harbor Department was dissolved and O.C. Parks absorbed all waterfront operations. Ground was broken on the harbor’s long-awaited revitalization. County officials initiated a search for vendors, hoping to designate a private firm to execute and manage the harbor’s revitalization. Harbor operations, all the while, was essentially managed by committee, with a handful of people performing essential duties until the harbor manager position was filled. Also coinciding with the yearlong management vacancy was the release of four county audit reports reviewing specific details of the harbor’s operations. Levin will not assume the new Harbor Manager role until June 9, but the announcement of her hire came on May 19 – exactly one year after The Log reported the resignation of former Harbor Director Brad Gross. The timing of Levin’s hiring coincides with the creation of the 11-member Dana Point Harbor Advisory Council. County officials established the council to give local boaters an organized voice while serving on a non-binding oversight committee to monitor harbor operations. O.C. Parks hired Levin away from Newport Beach, where she served as the city’s Harbor Resources Supervisor and helped managed the waterfront with Harbor Resources Manager Chris Miller for nearly nine years. Levin was selected from a nationwide pool of 70 applicants; she was among 5 or 6 finalists to be interviewed for the manager position. While at Newport Beach Harbor, Levin managed the opening of Marina Park and oversaw dredging and construction projects, maintenance of public resources, and management of tidelands and coastal resources. She earned her Master’s degree in public administration and a Bachelor of Science in biology. County officials have not yet announced Levin’s salary for her new position. Dana Point has been without a harbor manager or director since May 2016 when Brad Gross resigned. Despite his resignation, Gross was one of the applicants being considered for the position. Orange County announced the opening for a new harbor manager in December 2016. At the time the county announced a harbor manager would be selected within the first few weeks of 2017. “The harbor manager is primarily responsible for the successful administration of the multiple operating agreements, through which the commercial amenities (retail, hotel, and marina facilities) are managed and maintained on a day-to-day basis,” the official job post stated. Levin will also be the primary point of contact for coastal operations, lease compliance and development, facility rehabilitation, capital improvement and the Harbor Patrol. “The harbor manager will be responsible for successful interface with other local government and regulatory agencies such as the city of Dana Point, California Department of Boating and Waterways, California Coastal Commission, Water Quality Board, etc., who have jurisdiction and/or influence over the operation of Dana Point Harbor,” OC Parks’ call for applications continued. Levin’s other listed responsibilities included administration of the contract operators and primary contact for budget questions or tenant concerns.